I have a confession. I have lived in New Zealand for most of my life and I still don't 'get' Rugby. It's a terrible thing to admit to. I feel un-kiwi. It's probably more that watching sport has always bored me to death. Playing sport is great, but watching it? I get restless. With that essential skill of Rugby watching up my sleeve, I was ready for the opening game of the Rugby World Cup 2011. So was The Programmer, who arrived home with indispensable Rugby watching supplies. I cooked a typical Friday night feast. Friday nights are usually when I'll lax off my usual eating habits and have a few glasses of wine, maybe whip up a butter-laden hollandaise sauce. Which gets slathered all over the seasonal veg. I roasted organic chicken drums with pumpkin and NZ yams. As you will see here, the 'yam' has somewhat of a confused identity. 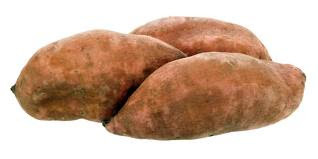 In other parts of the world, however, the picture below represents a yam. 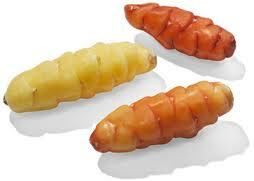 We call that a sweet potato, or usually use the Maori word, kumara. No matter the name, they are both delicious, and full of vitamin-y goodness. But, I digress. 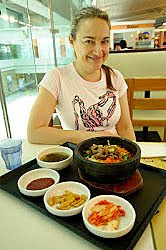 While munching dinner, we watched the opening ceremony which was many types of wow. It felt amazing to watch it on TV and know that up in Auckland, Eden Park had been transformed into a world class theatre. 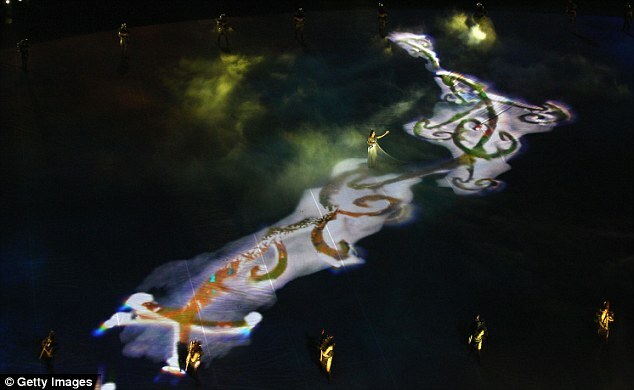 By some genius of smoke and lights the ground became sky, water and mountains, telling the story of New Zealand's history, from pre-colonisation to present day - the climax of which, naturally, is expected to be the AB's victory on home turf. I, for one, could not handle a repeat performance of what happened in 2007. Even though I'm not a Rugby-head, I am glad to have the World Cup here, now. It's perfect timing. We want to stop thinking about earthquakes and disaster. We need something to focus on that's fun and (if I may use the word without being kicked out of NZ) trivial, rather than heavy and sad. The opening teams - Tonga and NZ, both did a haka, which roused the energy level of the entire country to a new level, and then kick-off! At half-time, I snuck out and whipped up an impromptu dessert. It was very experimental. I just threw random quantities of butter, cacao powder, raisins, rice flour, oats and melted dark chocolate in to the processor, baked it for 15 minutes, then changed my mind and chilled it. I hope your weekend is full of awesomeness. I have an assignment to finish, which deals with body composition measurement. I've measured up my volunteers and am just crunching the numbers. The Programmer is making sure that I'm not missing out on the important stuff. He just popped his head in to let me know that Romania very nearly caused an upset, giving Scotland a scare. I asked if there was kissing. Apparently not, which proves that I don't yet understand the function of that scrum thing. Not to worry, I'm sure that day and night Rugby for six weeks will enlighten me as to its mysterious ways. Oh Yay! I am not rugby mad either, but strangely found myself enjoying watching Tonga Vs. NZ! The opening Ceremony was awesome eh?